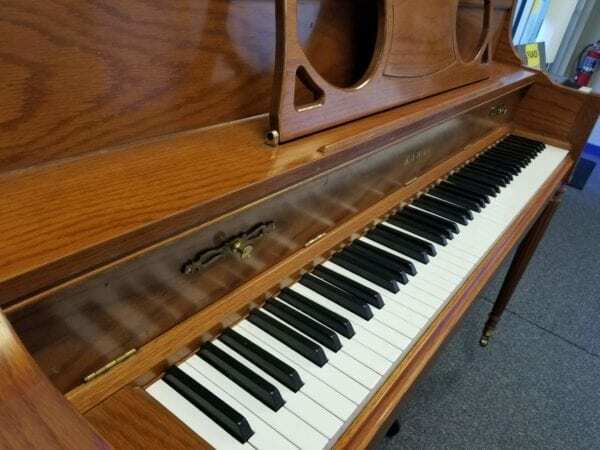 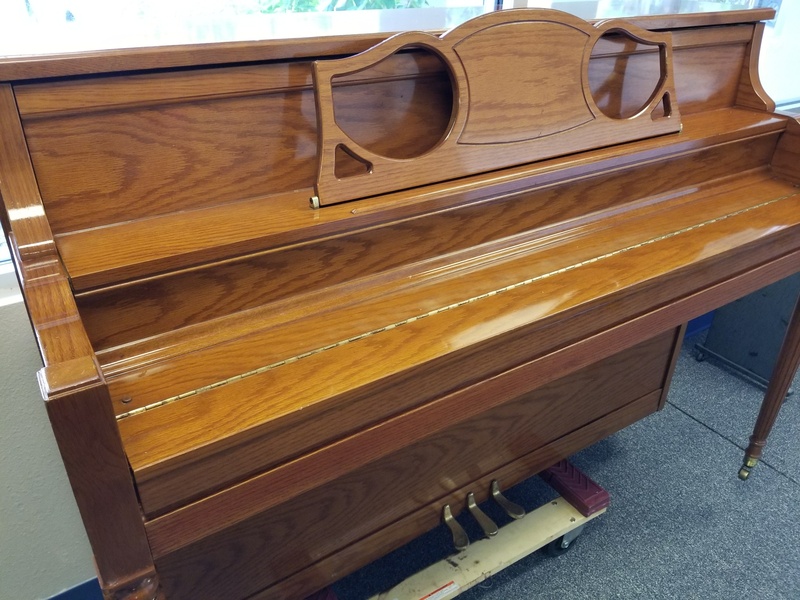 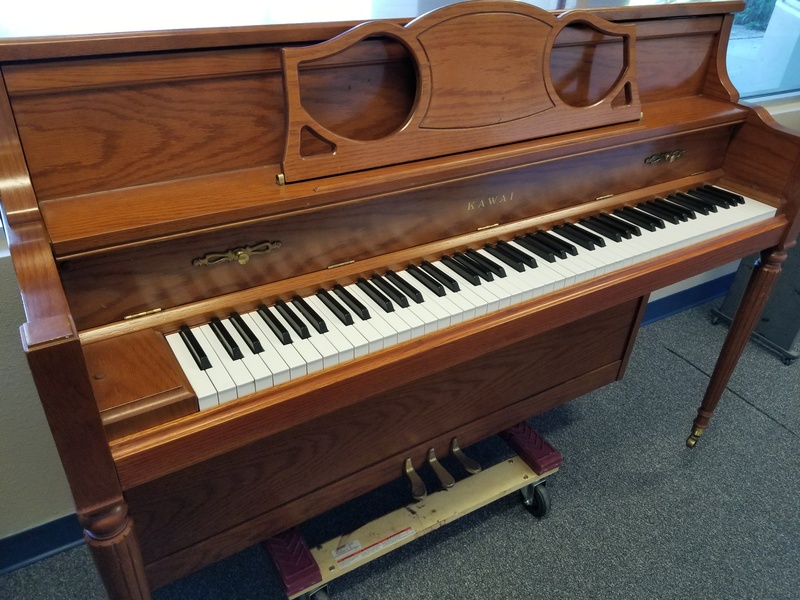 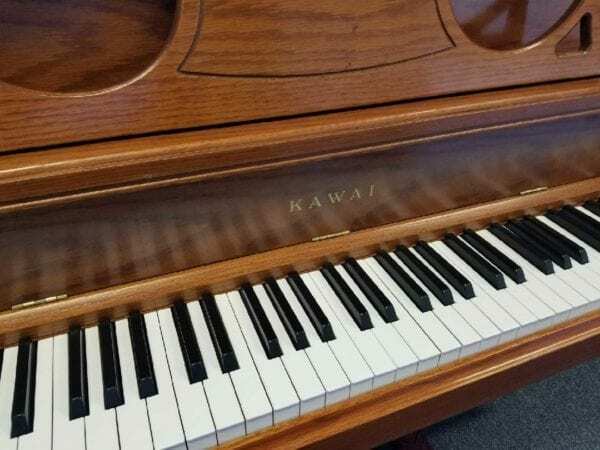 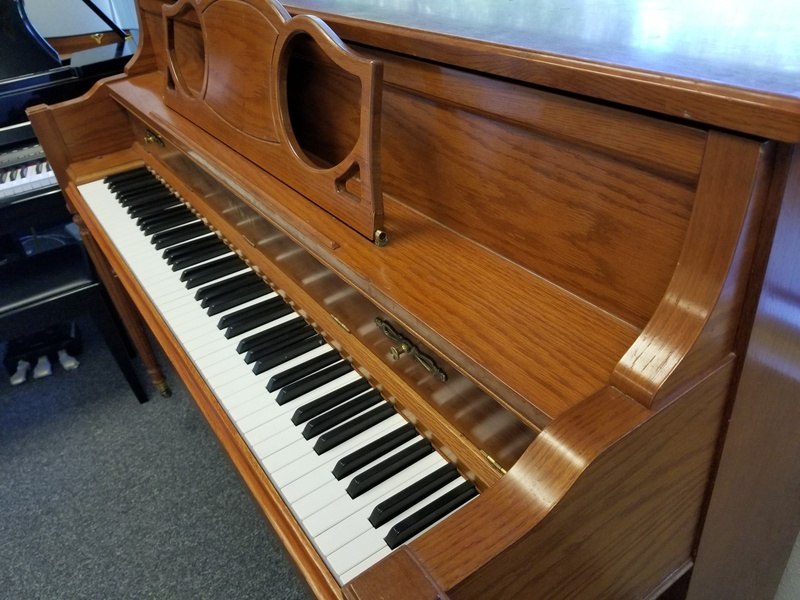 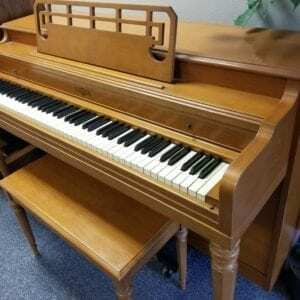 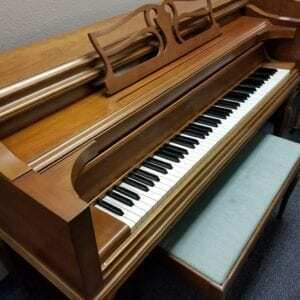 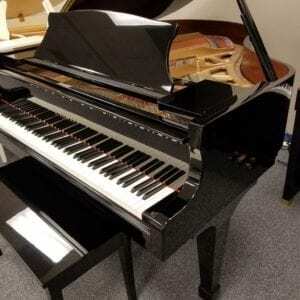 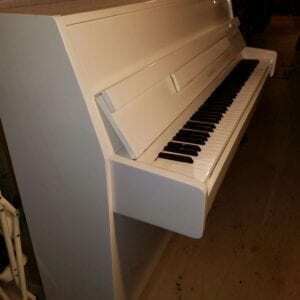 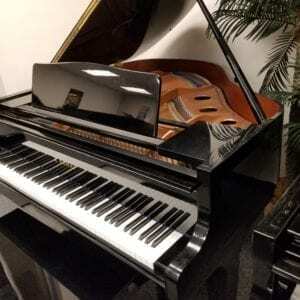 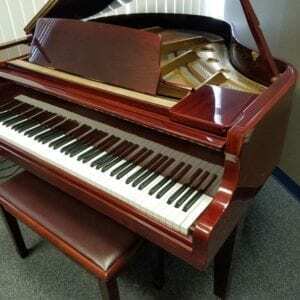 This 1987 Kawai 706T is a solid-built piano finished in Golden Oak. 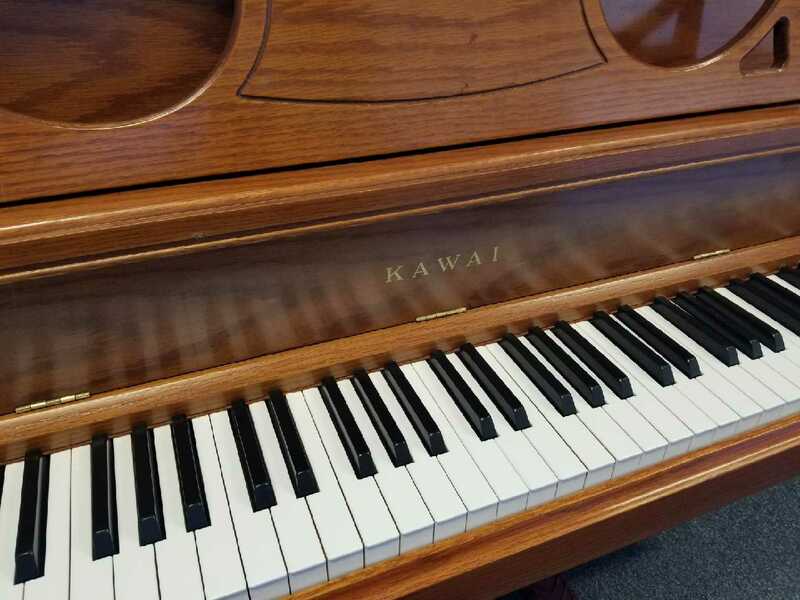 Typical fast Japanese-made action, and a clear, full tone. 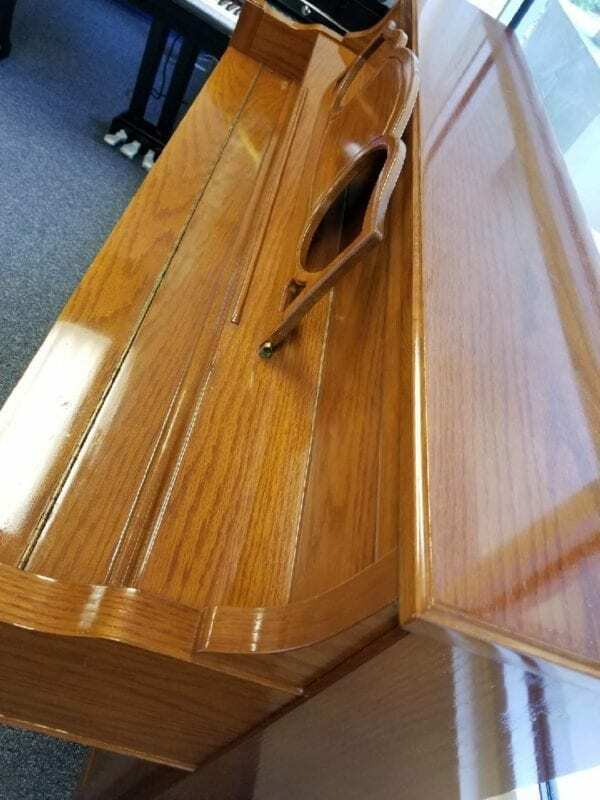 Includes matching bench.